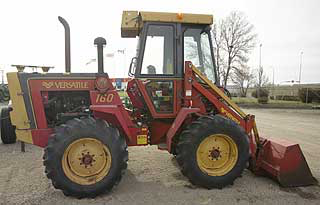 One of the most revolutionary concepts in tractor power came about when the hydrostatic hydraulic transmission powered the Versatile Bi-directional tractor. The tool carrier concept was born. No longer did a Saskatchewan farmer need to rotate his head 140 degrees to see what his rear mounted snow blower/implement was doing. Oilfield operators in Saskatchewan, Alberta and BC benefit equally. Tools from front-end loaders to swather’s to grapples could be mounted on this radical new tractor concept. Hydratec has supported the revolution. Every bi-directional from the 150 to the TV140 is supported by our extensive reman inventory of tested hydro stats. Our reman program has been so successful that we created a “dog sled” shipping concept to make shipping the new units to customers extremely easy. Returning your hydro cores to our rebuild center just blocks north of the Case / New Holland parts depot is as easy as tightening four bolts. Hydratec has developed many system saving service tips; from winter operating instructions to the finest extreme pressure spiral hose assembly program. When you have worn or poorly rebuilt systems even inferior hose programs will usually work. 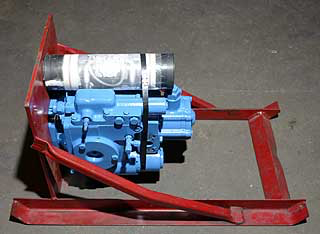 Hydratec rebuilt pumps, motors and hoses meet the 6000 psi challenge and we will put our guarantee on it. Any spiral hose assembly we manufacture has a written three-year guarantee. Our flat lapping of the pump / motor rotating groups means minimal high-pressure leakage; performance is the word. Technical support is a strong feature of our program. We welcome customers with hydrostatic problems to do minor troubleshooting under the guidance of a trained and experienced hydraulic technician. Testing kits can be rented from Hydratec for a minimal daily fee and are ready to be shipped out across Western Canada and the States. 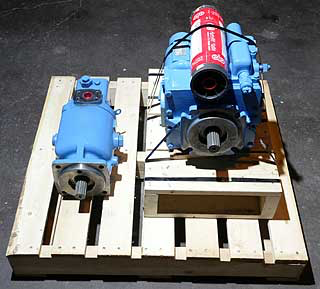 Call us at Hydratec – we have every Versatile / New Holland hydrostatic drive ready to go. Give us a call about our hydrostatic exchange program – we’d be glad to hear from you.